The ultimate combination of strength & beauty. 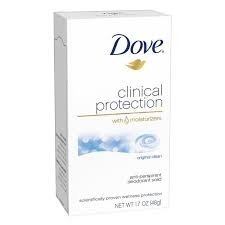 Who is Dove® clinical protection for? Women seeking prescription strength protection from wetness, but without the irritation. We guarantee your full satisfaction or we will replace or refund your purchase.